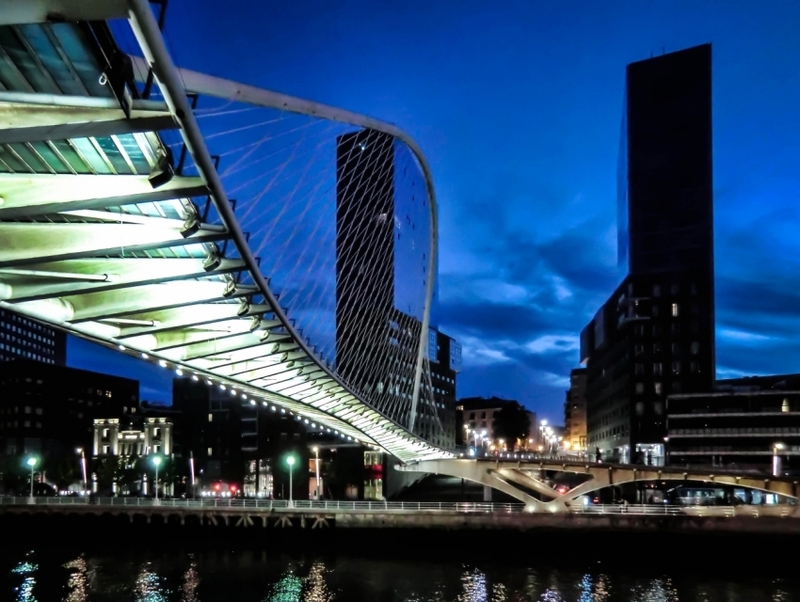 The Zubizuri, also known as the Campo Volantín Bridge (Puente del Campo Volantín), crosses the Nervion River in central Bilbao. The bridge was designed by Santiago Calatrava, and has a very modern look, consisting of an arched design with steel suspension cables, with the deck of the bridge being made of translucent glass bricks. This landmark it is impossible to miss on any trip to Bilbao.